Changing the lives of Northern Tasmanian young students, is the vision behind the Cape Hope Foundation’s recent support of the University of Tasmania’s Springboard to Higher Education Bursary Program. Outgoing Chair Nicholas d’Antoine said the opportunity to partner with the University fitted well with Cape Hope’s mission to promote a caring and connected community. “It’s only by having a caring and connected community that we can achieve any of what we aim to in our area. We need people who look after and respect each other,” Mr d’Antoine said. Mr d’Antoine said Cape Hope started six years ago after a group of northern Tasmanian residents wanted to give back to the community. Incoming Chair Hugh McKenzie said the organisation supports various charities aimed at giving young people equal educational opportunities to help achieve their potential. “Our desire is to help those who may not otherwise be able to get to the level of education they want, due to costs and all sorts of different things,” Mr McKenzie said. Wearing several hats in the community, Mr McKenzie said he sees many issues affecting education and believes programs like Springboard are vital to increasing retention rates post grade 10. Cape Hope Board Member Penny Hewitt said she would love to see more young people given educational opportunities through programs like Springboard. “It is fantastic to be able to support a program such as Springboard. To see young people being given the opportunity to further their education through to university will be very rewarding,” she said. “To be able to reach their potential, which may not have been possible without assistance, is rewarding for them and for us. “And the flow on effect will be beneficial to the local community and beyond. Since its inception in 2002, the Springboard to Higher Education Bursary Program has changed the lives of 882 Tasmania students by providing financial support to disadvantaged students ‘at risk’ of leaving the education system. By enabling and encouraging students to access higher education, the program helps them realise their full academic potential, and as a natural consequence, their personal and professional capabilities. 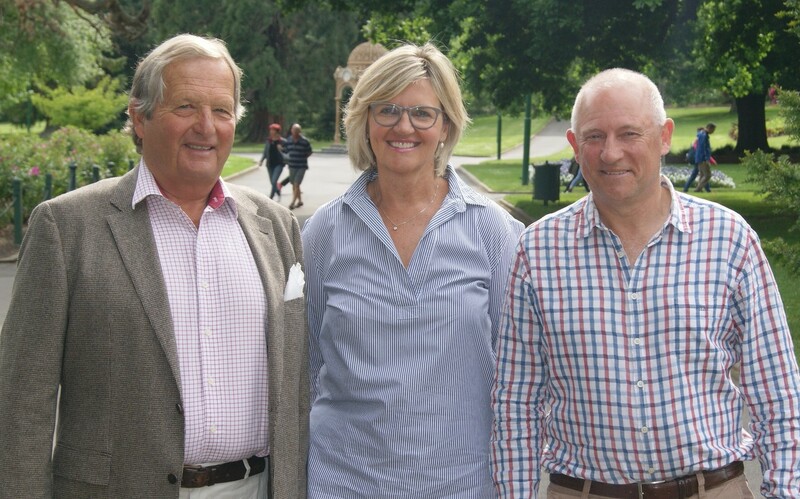 Image: Cape Hope Foundation’s outgoing Chair Nicholas d’Antoine with Board member Penny Hewitt and incoming chairman Hugh McKenzie.